Members of the Minnesota Territorial Pioneers trace their ancestry to the pioneers who settled in the Minnesota Territory before the state of Minnesota was admitted to the union in 1858. The organization seeks to preserve pioneer heritage and encourage the study of Minnesota's history through organizational activities and community outreach. MTP was founded in 1897 and celebrates its 111th anniversary in 2008. The Minnesota Territory included parts of the original Northwest Territory (1783), Louisiana Purchase (1803) and lands along the Red River of the North ceded to the US by the Anglo-American Convention of 1818. 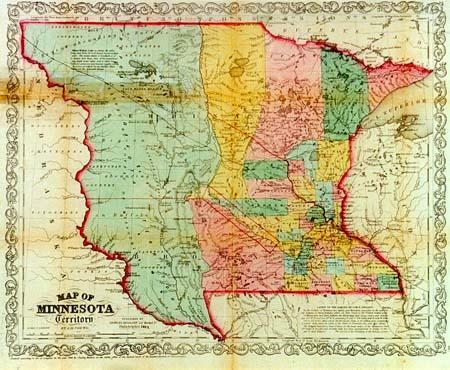 Along with the state of Minnesota, portions of the states of North and South Dakota were part of the Minnesota Territory. If your ancestors were among those who called the territory home before Minnesota became a state, celebrate your heritage - become a member of the Minnesota Territorial Pioneers! To aid, assist and contribute to the support of corporations, associations and institutions which are organized and operated exclusively for religious, charitable, educational or scientific purposes. 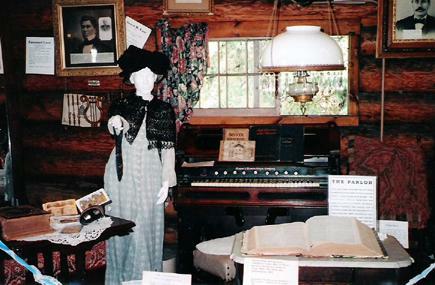 so we do hereby so organize and adopt, and subscribe to the following articles...."
MTP's Log Cabin gives fair-goers an opportunity to take a step back in time and look at the "stuff of life" from the pioneer era. Clothing, household articles and tools, toys, photos and other interesting artifacts from territorial times are on display. Skills are demonstrated on a regular schedule each day at the fair. 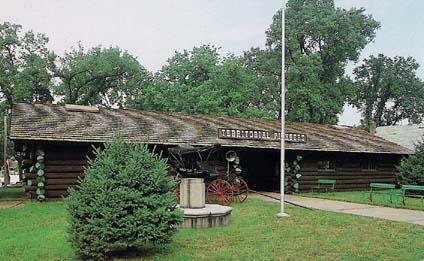 Be sure to put the Minnesota Territorial Pioneer's Log Cabin on your itinerary when you come to the Minnesota State Fair! 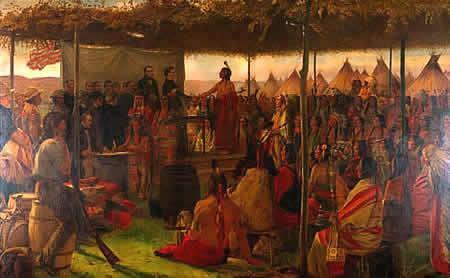 Do you have ancestors who lived in Minnesota Territory before May 11, 1858? If so, you are eligible to apply for membership in the Minnesota Territorial Pioneers, Inc.
1) The Minnesota Pioneer Ancestor is documented in a publication that was produced during the Minnesota Territorial era or immediately after. This documentation should be a copy of the original document. 2) The applicant can trace and document his/her direct ancestry from each Minnesota Pioneer submitted. Documentation for this can be dates and places of marriage, dates and places of birth, certificates of baptism, certificates of marriage or other official records. While actual documents are not required to meet these criteria, the physical location of these records is required; copies of these records will also be accepted. Each application must stand on its own merit. A fifteen dollar ($15) payment is required when the application is submitted. The membership committee reviews and researches each application and supporting documents and then recommends acceptance or rejection to the Board of Directors. The Board then votes to recommend or reject the application. The Board�s recommendations are submitted to the General Membership at the Annual Membership Meeting every May for final approval. You will be notified of the membership's decision and, if accepted, you will be asked to remit your membership dues at that time. Both yearly and lifetime membership plans are available. We encourage you to include a complete list of descendants for our records. 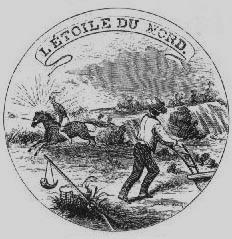 One of the primary goals of the Minnesota Territorial Pioneers is to collect as much information as possible about life in Minnesota Territory. Any family stories passed down from your ancestors about daily pioneer life or events will be greatly appreciated. 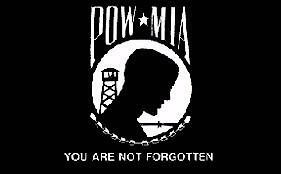 For more information please contact Mary Casebolt, MTP Secretary, by telephone at (651) 379-1849 and leave a message, or e-mail MTP at mnterritorialpioneers@yahoo.com. On behalf of the Membership Committee and the Board of Directors, we look forward to welcoming you to the Minnesota Territorial Pioneers! Chippewa. Named for Chippewa River. River so named by the Dakotas because of heavy use by Ojibway war parties to access the Minnesota River valley. Chisago. Named for Chisago Lake. Chisago is an anglicized version of the Ojibway words kichi and saga which mean "large" and "lovely", respectively. Clay. Named for Henry Clay, American statesman. U.S. Senator and Congressman from Kentucky variously during the period 1806-52; U.S. Secretary of State, 1825-29; three times Speaker of the House, and three times a candidate for president. Clearwater. Named after Clearwater river and lake. Clearwater is a translation of the Ojibway word Ga-wakomitigweia, describing the appearance of the water. Cook. Named for Major Michael Cook of Faribault. Served in the territorial legislature and elected to the state senate, 1857-62; killed in the Civil War at Battle of Nashville. Cottonwood. Named after the Cottonwood River. Cottonwood is a translation of Waraju, the Dakota name for the river, reflecting the abundance of the tree on its banks. Crow Wing. Named after the Crow Wing River. Crow Wing is loose translation of Kagiwigwan, the Ojibway name for the river. A more accurate translation of this name may be "raven feather". Dakota. Named for the Dakota people, meaning an alliance or league. Dodge. Named for Henry Dodge and his son Augustus. Henry Dodge, was territorial governor, delegate in Congress and U.S. Senator from Wisconsin, 1836-57. Augustus Dodge was delegate to Congress for Iowa Territory, 1840-47 and U.S. Senator from Iowa, 1848-55. Douglas. Named for Stephen Arnold Douglas, member of Congress from Illinois 1843-47, U.S. Senator from Illinois, 1847-61; candidate for president in 1860; advocated Minnesota statehood as chairman of Senate Committee on Territories. Faribault. Named for Jean Baptiste Faribault, first white settler to farm in Minnesota. Major figure in trade with the Dakotas, 1803-60. JUNE 3, 1839 : Liquor was a constant plague to the officers at Fort Snelling: forty-seven soldiers are confined to the guardhouse for violating orders about visiting the saloon of Henry Menk, near modern Fort Road and Munster Avenue in St. Paul. 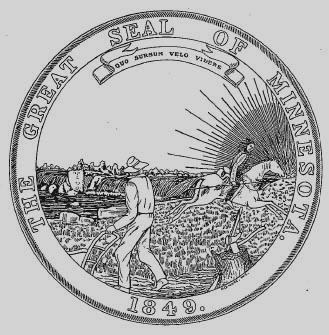 AUGUST 4, 1854: Congress approves legislation guaranteeing preemption for Minnesota settlers squatting on lands that have not been surveyed. Technically, the land could be sold only after being surveyed, but settlers had poured into lands purchased from the Indians, sometimes making substantial improvements before the surveyors completed their work. This act, sponsored by delegate Henry H. Sibley, allows the settlers to purchase their land after the settlement. NOVEMBER 16, 1865: The preparatory (or high school) department of what is now Hamline University opens for business in Red Wing. Named for Leonidas L. Hamline, a Methodist bishop, the school suspends operations in 1869 and reopens in St. Paul in 1880, but its original founding date makes it the oldest college in the state. "On this Day in Minnesota History"
DID YOU KNOW THESE FACTS ABOUT MINNESOTA? The longest distance from north to south is 411 miles. The widest distance from east to west is 357 miles. The geographic center of Minnesota is 10 miles SW of Brainerd. Minnesota is the 12th largest state in area and the 21st largest state in population.